Unofficial results from Elections Manitoba show that 4,016 voters opted to formally decline their ballot and not support any specific candidate. With 440,385 total votes cast, declined ballots represented nearly one per cent of the popular vote. A record number of Manitobans voted for none of the above in Manitoba's 41st provincial election. 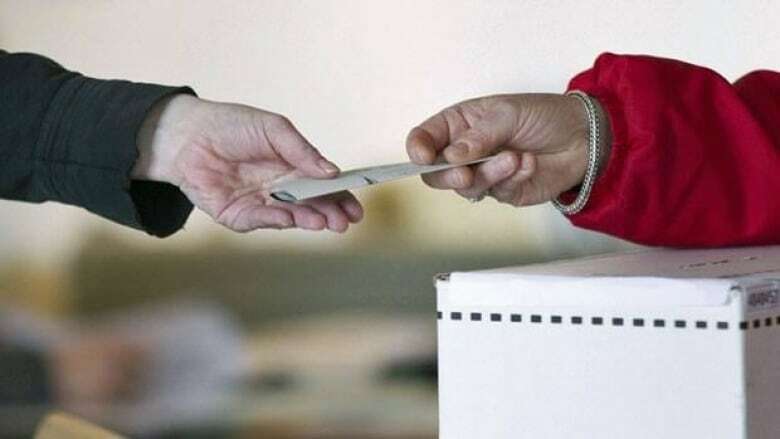 Unofficial results from Elections Manitoba show that 4,016 voters opted to formally decline their ballots and not support any specific candidate. With 440,385 total votes cast, declined ballots represented nearly one per cent of the popular vote. According to historic election results, the previous highest number of declined ballots was in 1999, when 1,129 electors supported no specific party. In 2011, only 440 voters declined their vote. Radisson constituent Kyle Sabourin declined his ballot for the first time and took to Twitter to let the political parties know. "I wanted them to know that I've been voting in every election since I'm 18, and I want them to know that I chose to decline my ballot," he said. "I think they should know that, they should be aware of that." "I looked at the leadership to decide my vote. There was no way I was going to vote NDP based on their previous policies. Rana Bokhari and the Liberals were just, they just went into a tail spin and there's no leadership qualities there, and Brian Pallister, I just can't relate to him. He's got some talking points, but I just can't relate to him as a voter," Sabourin said. Sabourin said had he not been made aware of the decline option, given the circumstances, he likely would have simply not participated in this election or spoiled a ballot at the last minute. "I think it showed people are not happy with their choices. They want some different leaders in there, they want some new ideas in there," said Kyle Sabourin. In 2011, the constituencies of Selkirk and Wolseley posted the highest number of declined ballots. Constituency breakdowns for the 2016 election are not yet available. Manitoba is one of only four provinces where a voter can formally decline a ballot, which is different from a rejected ballot, a ballot on which it's not clear whether it was intentionally marked incorrectly (such as a spoiled ballot). To decline a ballot in Manitoba, a voter must write the word "Decline" on the front of the ballot, which is then counted as officially declined.